If your horse needs a surgical procedure to be performed it will require an anaesthetic of some description. This may be either a local anaesthetic, where the animal is otherwise conscious and only a specific area is operated on, e.g. castration, or a general anaesthetic if the procedure is more involved or generalised, e.g. colic surgery. Local anaesthetics work by numbing the area to be worked on. These will usually be used for more simple procedures such as stitching cuts, wounds, castration and simple investigative procedures. Sedation may be required as well as a local anaesthetic and these agents work to calm your horse. A general anaesthetic, however, will mean that your horse will be completely unconscious. General anaesthesia is used for more complicated procedures, where the animal needs to be particularly still or where clean conditions are required, or ones which are particularly painful and so require the horse to be completely unaware of what is going on. As with any anaesthetic there are risks and your veterinary surgeon will be able to discuss these with you. There are certain things which you can do to ensure that your horse will have the safest possible anaesthetic. Prior to surgery, ensure that all relevant medications have been given and that you have followed the advice of your veterinary surgeon in regards to feeding, water and exercise. It is important that the stable or paddock is clean and that fresh bedding is provided so the animal is not covered in mud before the operation. 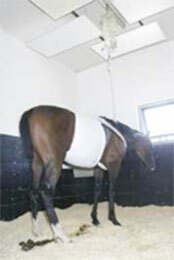 Following the surgery, your vet will also give you detailed instructions on the feeding and exercise of your horse. They will also give you advice on what to watch out for and any signs of problems such as swelling at the surgical site that may be likely to occur. Castration is a surgical procedure which involves removing the testicles of a colt or stallion. It is the commonest surgical procedure performed in the horse. Following the surgery the animal is called a “gelding”. There are a number of reasons why horses are castrated, including behaviour and sterilisation. 1. Some swelling is normal following castration; however excessive swelling can develop if the incisions close prematurely or are too small, causing further complications. 2. A small amount of bleeding is inevitable following castration but should be limited to drips. If there is a constant stream of blood from the surgical site you should contact your vet immediately. 3. Your gelding should be back to normal once the sedative or anaesthetic has worn off. Ensuring that your horses environment is clean for at least a week following castration is important. Clean bedding, if stabled or at least a clean, grassy paddock with no mud or dust for a horse at pasture is required. You will be given precise post-surgical recommendations but if anything appears other than described above then contact your veterinary surgeon for further advice. If your horse has developed a tumour, sarcoid or has proud flesh it may require removal. This can often be done either by surgery or cryosurgery. Traditional surgical methods of removal will require some form of anaesthesia, either local or general. The lump or tumour is then removed via excision. Cryosurgery on the other hand is where the target area is frozen, thawed and then refrozen to damage the tissue and cause it to slough or fall off. Most commonly liquid nitrogen is used for this procedure. 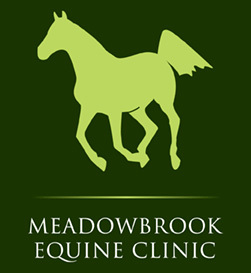 Your veterinary surgeon will discuss the particular issues related to your horse’s lump or tumour.